Update: Building forms with these kinds of controls is now much easier with our new the Formotus form creator. InfoPath is still supported. 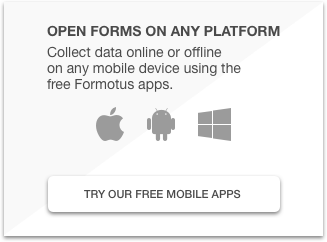 Formotus form creator allows you to create powerful mobile business forms. Add creator controls to your form to collect data using the camera, touchscreen, and GPS capabilities of your mobile devices. The camera control lets you snap photos straight into your form. We’ve updated the default image and standardized the default size to 320 pixels wide. Tip: You can set your own preferred size for camera, ink or annotation controls. Best practice is to define in InfoPath either the width or the height and leave the other dimension set to “auto”. This way images always keep their proportions. By default, the ink control shows a signature line as a background image. We’ve replaced the word “Signature” with a simple X, and sized the background image larger to maximize the signing surface when the pencil button is tapped. Note that this control is useful not only for signatures but also for diagrams. You can replace the background image with something specific to your field and mobile workers can then draw on top of the background diagram. The annotation control lets you snap a photo into it and then mark on the photo with ink. We’ve simplified the default background image to a plain white canvas at 320 pixels wide. The white canvas can be used for a freehand drawing, but most often you’ll probably snap a photo to replace it. Then you can draw on the photo with nice options such as multiple ink colors, line thickness control, and the ability to undo strokes. The location control captures the best available location information on the device and inserts it into your form. We’ve updated the look and layout of the control and made it easy to remove the altitude and velocity fields if you don’t need them. Notice the control includes its own time stamp and measurement of the accuracy of the location in meters. The left button refreshes the location info, and the right button pops up a map of the location. 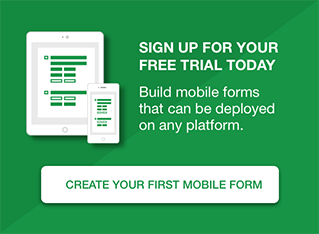 Note that you can design your form so that this control is not visible to the mobile user.